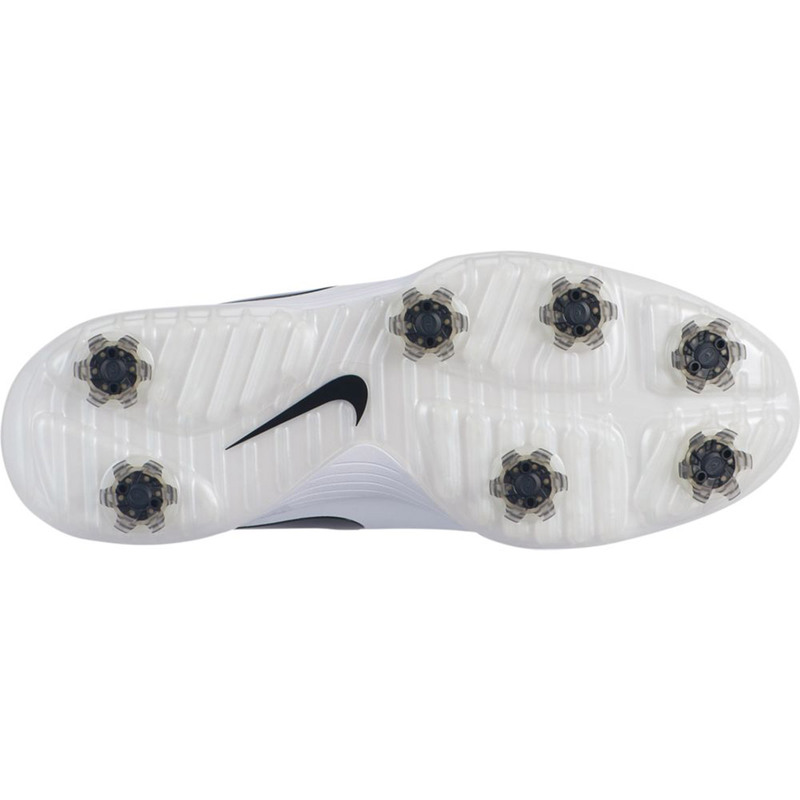 These innovative Nike Vapor Pro Shoes have been designed with comfortability in mind. 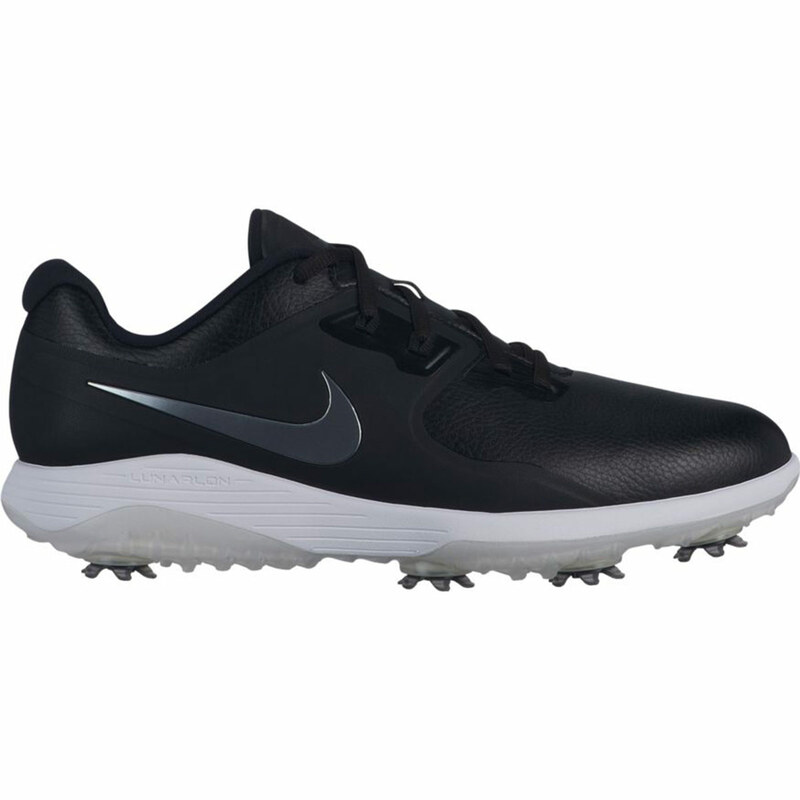 The lunarlon midsole provides lightweight comfort, meaning you can stay out on the course for longer without the risk of your feet becoming fatigued. 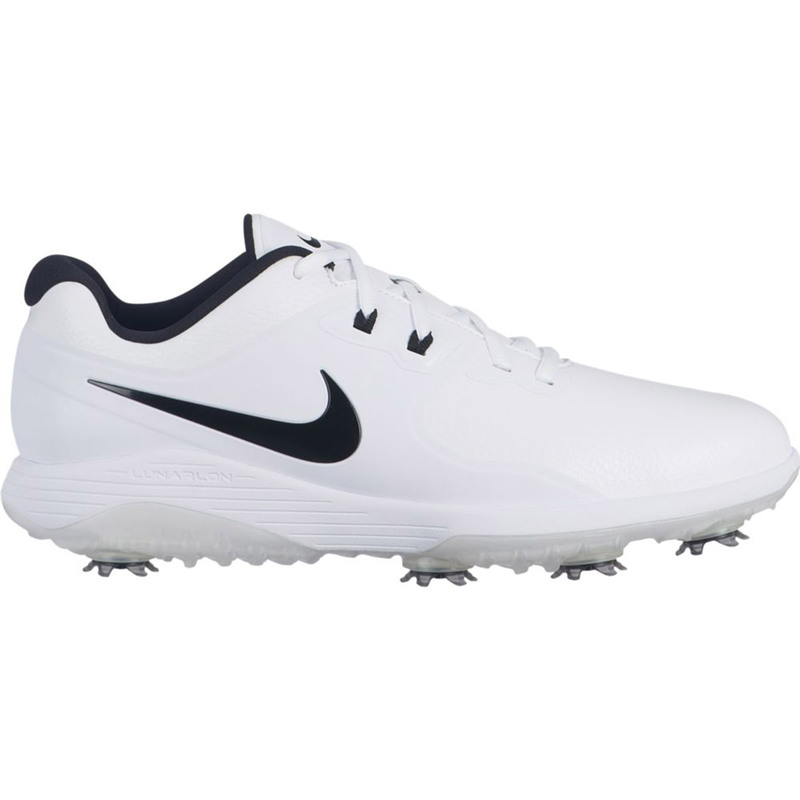 The Flywire technology provides a supportive fit. 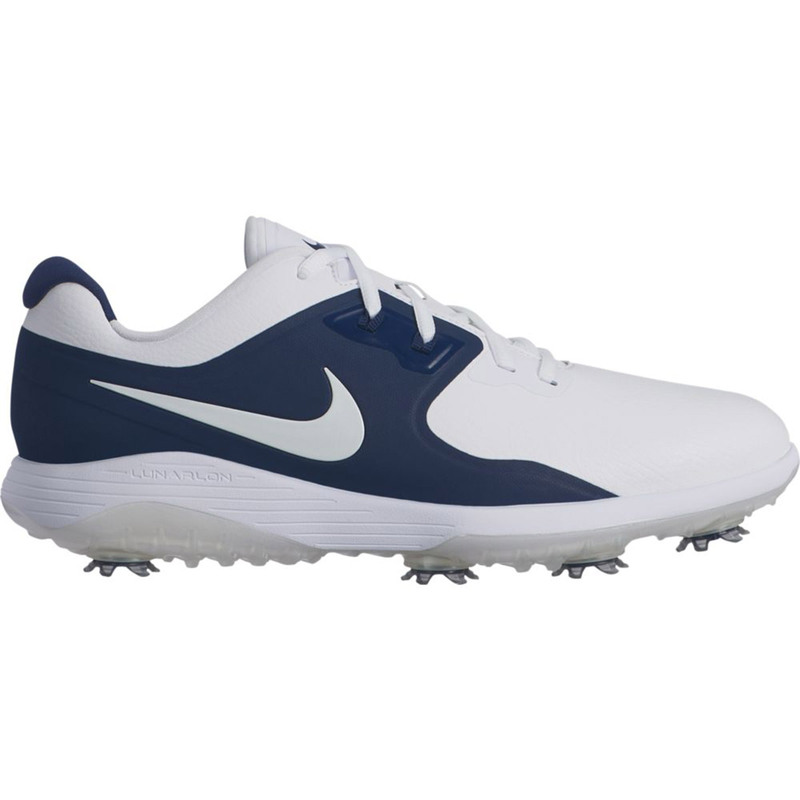 These shoes also feature an 8mm Fitsole sockliner is contoured to provide support and cushioning. 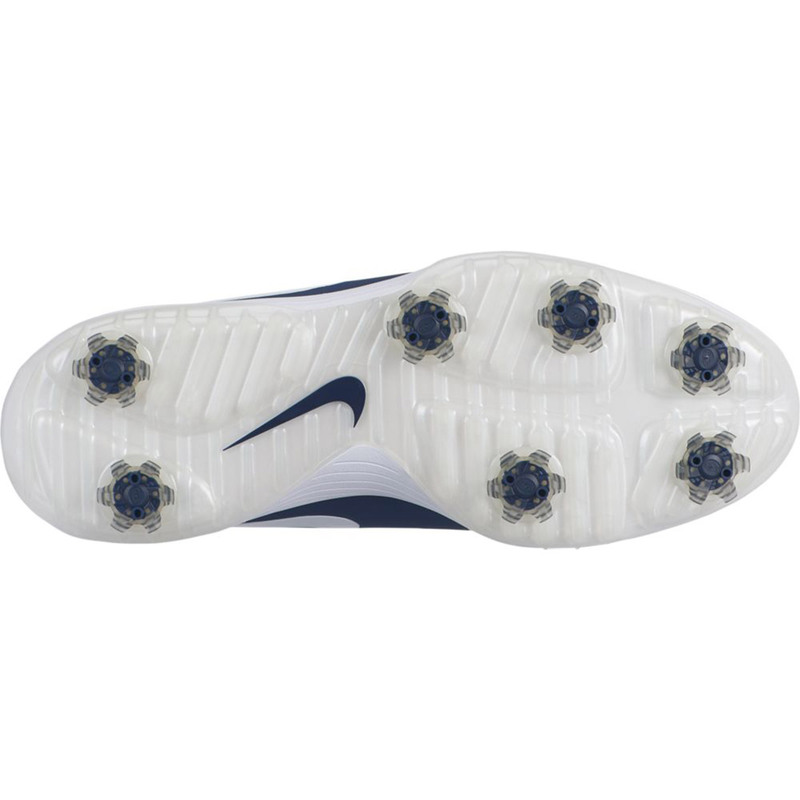 Feel confident while playing in poor weather, thanks to the 5 removeable CHAMP PiviX golf spikes that twist and lock into a CHAMP SLIM-Lok system for far superior traction and enhanced ground feel on a variety of surfaces. 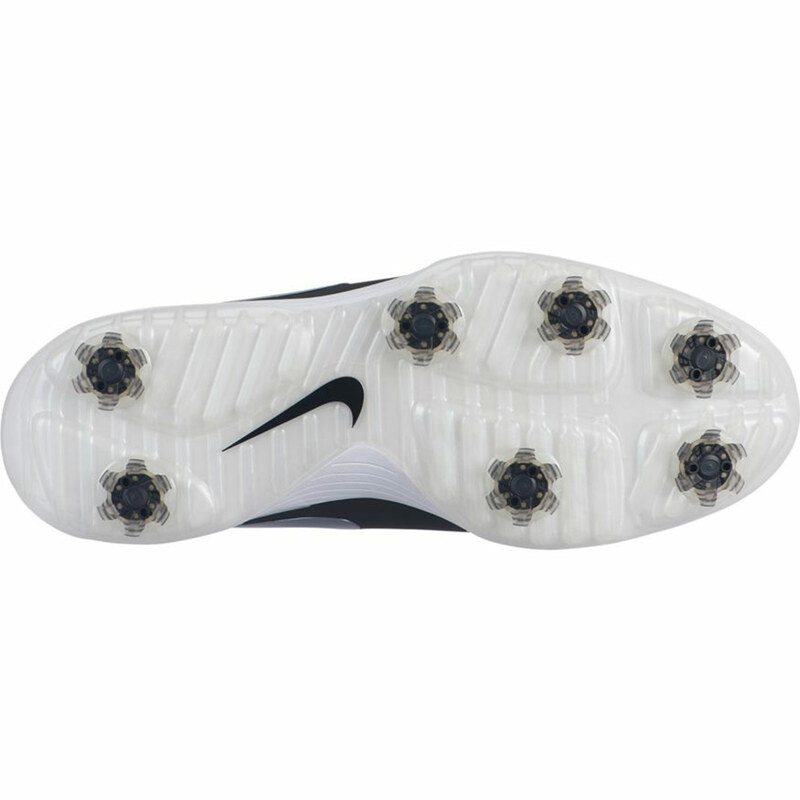 These golf spikes will help to prevent potential slips and falls due to the superior traction.